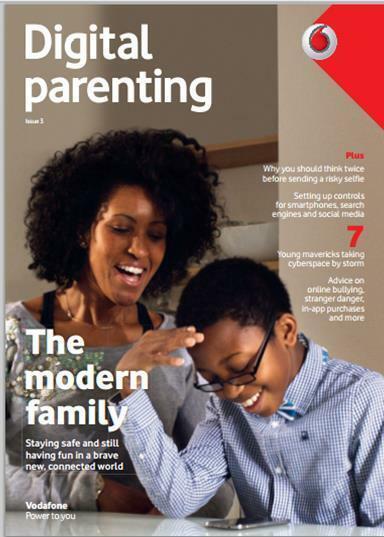 A free Magazine for parents worried about their children in the Digital Age. After St Cleopas attended the E-Safety Conference at the Crown Plaza Hotel. We picked up this magazine which we feel addresses the key challenges our parents and children experience in the digital world today. Follow step-by-step guides to set up safety and privacy tools , including, Facebook privacy controls, Windows 7, and Mobile phones. 4. 25 expert Views: From psychiatrists to teachers, industry representatives to parenting advisers, 25 experts offer their advice about some of the key challenges that your child might face in the digital world. You do not need to be a Vodaphone subscriber to use the magazine. It is totaly free! !